THE ULTIMATE SURF WATERBOTTLE HOLDER – THE HYDRO HOLDER. 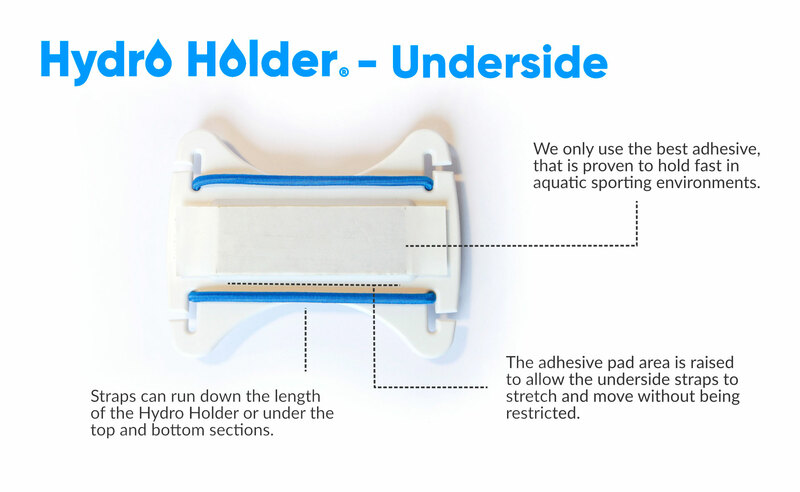 Hydro Holder is a brand new product helping you to attach almost any items to your Stand Up Paddle Board or any water craft! 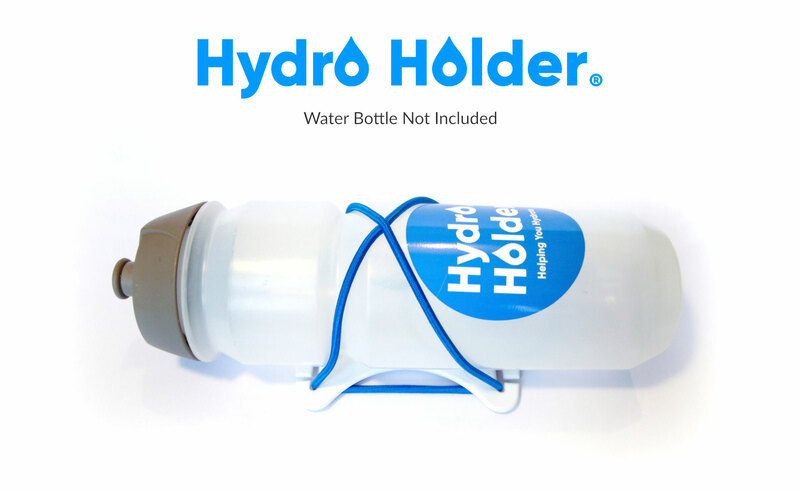 The Hydro Holder is avalible now via the Hydro Holder website, eBay and Amazon UK. 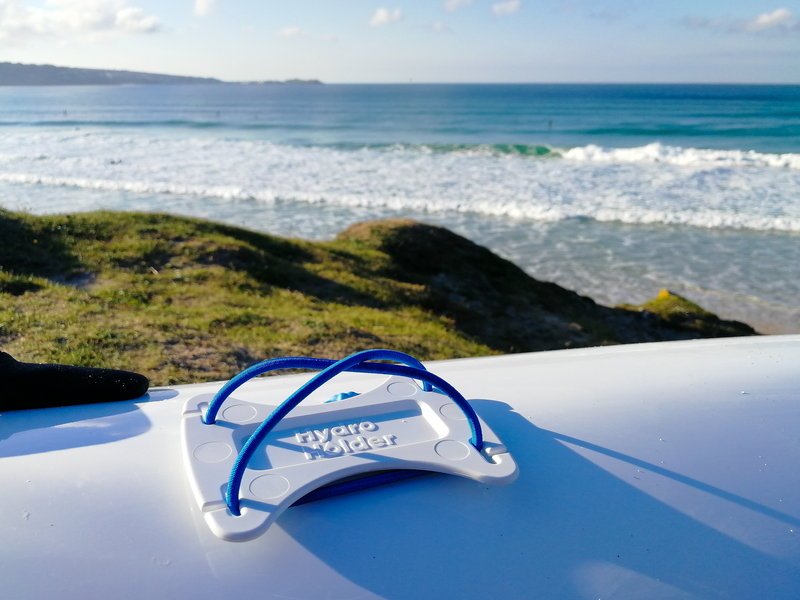 The Hydro Holder sticks to any hard, flat surface and will revolutionise how you stay hydrated while enjoying aquatic sports. Attach it to a Stand Up Paddle Board, Kayak, Canoe, Prone Board, Windsurfing Board, Sailing Dingy, Surfboard. Even use it on a Quadbike! The Hydro Holder is fast and easy to use, and is designed to go through waves and underwater. It can be easily adjusted while you are on your water craft. This makes it so much better than conventional bungee cords, as it actually keeps your items secure even in the roughest sea conditions. There is no need to buy any additional waterbottles to go with the Hydro Holder. The Hydro Holder has been designed to work with all waterbottles on the market. 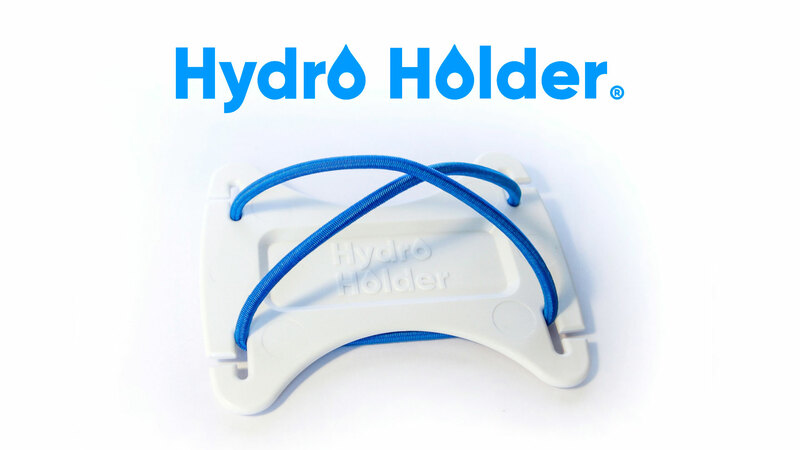 The Hydro Holder has been carefully created so it can be used with a single strap in many different formations. It will hold small and large items by using different strap positions on the Hydro Holder. The strap is made of high quality shock cord which is UV resistant, waterproof, hard wearing, with an elongation of 100% (stretches to double its length). 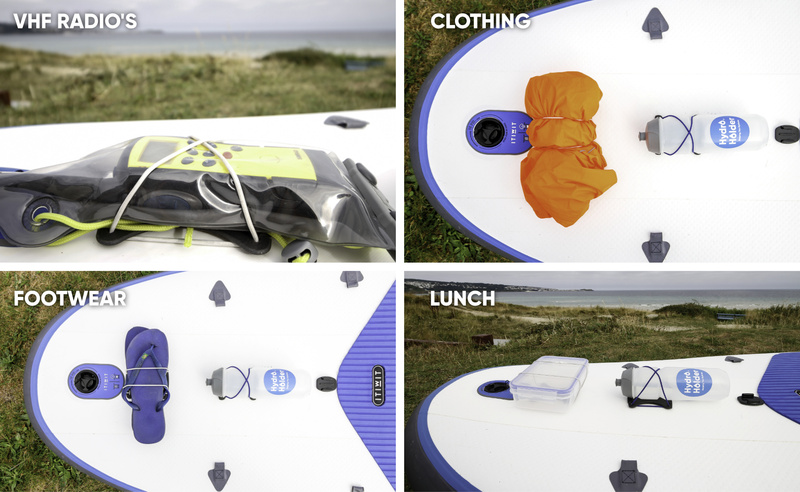 The straps have been tested to hold above 20kg, which is way beyond the force required to hold items onto the Hydro Holder even in the biggest surf. 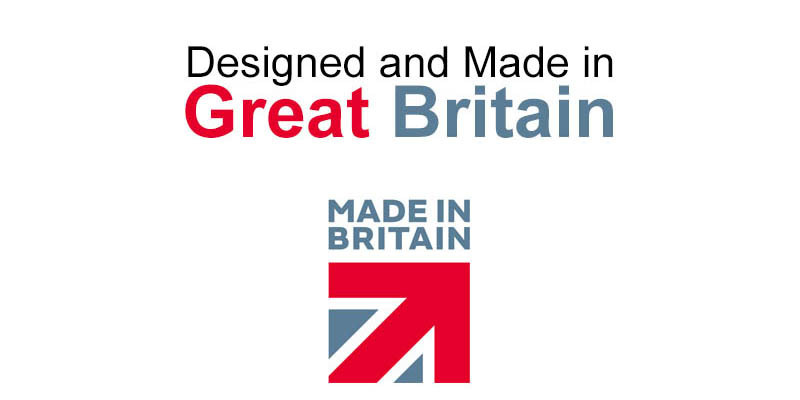 With interest already from National Organisations who wish to use the Hydro Holder to hold VHF radios for safety and communications, as well as companies wanting to use the Hydro Holder with there existing outdoor pursuits businesses as a better method for holding drinks while conducting outdoor activities. 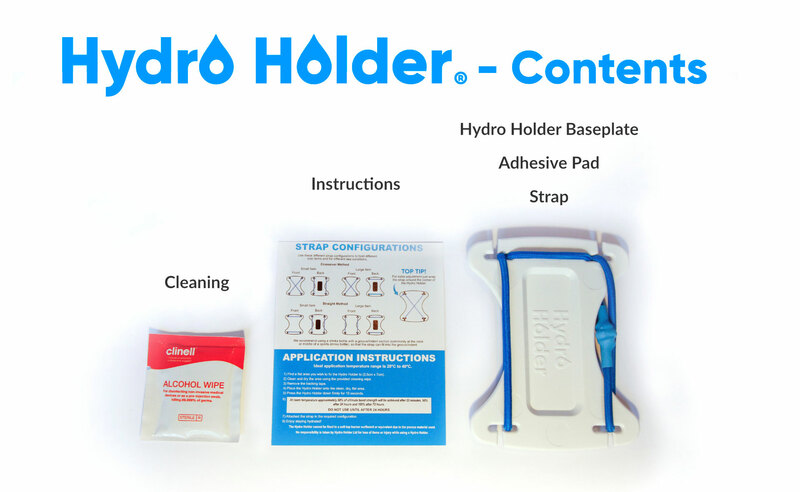 The Hydro Holder looks set to revolutionise how we keep items secure on water craft. More detailed photos and descriptions can be found on our press website page here.